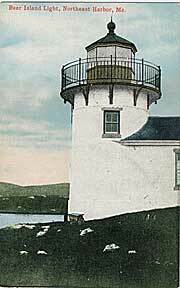 This online collection showcases the lighthouse postcards in the Archives Center at the Smithsonian's National Museum of American History (Collection #1055). It includes digitized images of 272 postcards, general information on the U.S. and Canadian lighthouses represented in the collection, and customized nautical charts provided by the National Oceanographic and Atmospheric Administration (NOAA). Navigate the collection with maps, browse by region and state, or view an alphabetical index. To learn more about how to use these functions, visit the help page. You can also learn more about the collection or the history of lighthouses and view a glossary of related terms.